Just a suggestion to everyone else--I'm speaking merely within my role as a poster, so you are under no requirement to follow my advice: We might do well to stop trying to correct the particular points of Alfred's interpretations of Scripture, since we've been doing this with him now for several weeks yet have succeeded at doing nothing but egging him on by giving him reason to "correct" us. He loves to argue, and we only fuel this by arguing with him. I think we would therefore be much more successful if we work to undermine his foundational premise of sola scriptura and drive him to do what he needs to do to convince us that sola scriptura is itself apostolic teaching. Don't allow him to sidetrack you into arguing with him as to why his interpretation of a particular passage of Scripture (e.g., 1 Corinthians 14:36-38) doesn't fit its larger context or is otherwise wrong. Focus your attack on his doctrine of sola scriptura. As many of us have told him already, Alfred will never convince us to embrace his interpretations of Scripture if he cannot first convince us to embrace his doctrine of sola scriptura, since his whole modus operandi is based on sola scriptura. Again, this is merely a suggestion, so take it FWIW. Since your interpretation is the one that takes the meaning beyond what is expressly written, you must prove your view, as my interpretation is the default. That St Paul is writing about an error unique to the Corinthian Church is self-evident, since the letter is addressed to that specific Church and discusses errors within that specific Church. How you extrapolate the problems of women speaking in church and prophecy to a condemnation of Holy Tradition is for you to prove. I'm not going to defend the Orthodox view because that's beside the point. Your stated intention was to convince us. So please, have at it. 22 Therefore tongues are for a sign, not to those who believe but to unbelievers; but prophesying is not for unbelievers but for those who believe. So if this context excludes the Orthodox, they are not believers, or part of the "whole church". I do agree with Peter. I suppose I broke the party line for a moment. So how about it? Sola scriptura? Anyway, your exegesis doesn't make any sense at all. I have read what you posted several times and I don't even understand how it means what you say it means. Maybe you're speaking in tongues too, I don't know. Does gibberish count as a tongue? Do those with glossolailia speak with forked tongue? Solo Afredo doesn't believe the Scriptures. Simple as that. You must decide if your church is Christian, and if it is, then is it under apostolic authority or your own. If the Orthodox church = Christian church seen in the NT, then you cannot say teaching that applies to them, doesn't apply to you. You either are an apostolic church, or you aren't. Sorry to not follow the advice I gave others, but I just can't tolerate this gross misuse of Scripture. You split the last verse and only gave us part of its first phrase. This cuts out a very important grammatical modifier that, coincidentally, only serves to support bogdan's case. "Therefore if the whole church comes together in one place, ..." in one place. in one place! Once again, this passage shows St. Paul speaking merely to the church that meets in one place and not to the entire church as it is spread out throughout the world. Again, the modifier "in one place". This context focuses only on those who are members of the whole of the local church that meets in Corinth. For those of us who aren't members of the local Corinthian church, how does this passage from 1 Corinthians even apply? 1. Corinth was in Greece. 3. If you go there, what churches do you see? Alfred, you might want to check out this website where you can find some tours to Greece and actually visit the real Churches in the actual cities where the Apostle Paul ministered. While proselytizing is illegal in Greece (if you're caught, you won't be prosecuted because Greece is a secular EU Member Nation), I bet the Greeks would like to hear you explain how their Churches got it all wrong and how your Church got it right. At the Prefecture of Kavala, on Paggaio mountain, 35 km away from Kavala near Nikisiani you will find the imposing Panaghia Ikosifoinissa monastery (tel. 25920 61566), which was built by Saint German during the 4th century A.D. Leaving Kavala and heading to Drama you will come across Aghios Silas monastery and shortly afterwards the Filippo archaeological site and the Baptistery of Saint Lydia, the first Christian to be baptized by Apostle Paul in Europe (49 A.D.). In Filippoi, you will also sea the impressive Basilicas and the octagonal church where Apostle Paul is believed to be imprisoned. In Palaiochori, in the impressive village of Vranokastro visitors will see the remains of Aghios Georgios Diasoritis monastery. The Aghios Georgios church in Kavala, where the shrine of the saint is kept, attracts lots of believers. Finally, the relics of Aghios Gregorios is kept in a golden larnax in the church of Nea Karvali village, which constitutes an important pole of attraction for pilgrims. If you go, we look forward to hearing how your proselytizing fared at the place where the first Christian was baptized in Europe. I heard a story about a group of Protestant missionaries who went to Iraq. They came across a village and was told that the people there were Christian's. Intrigued, the asked them, "Who was it that converted your family". They answered: "It was Saint Paul"
After the Greeks reject Alfred's proselytizing and assuming that Alfred can legally enter Iraq (if proselytizing is legal in Iraq), his next mission would be to convince any remaining Iraqi Christians that His Church is superior than the one ministered to by the Apostle Paul. I believe you are misrepresenting the Orthodox. I demand to see an official statement by the Orthodox church 1 Corinthians is irrelevant to Orthodoxy, that what is said therein does not apply to all the church, but only the Corinthians. Oh dear. Now Alfred has been cornered and we're going down the "I don't believe you, give me an official statement" trail again. First off, you are in no position to say what we do or do not believe. You have made perfectly obvious that you have no idea what we believe, so your protests about "misrepresentations" are falling on deaf ears. You don't care to suspend your arguments while someone explains it, so that doesn't make us very likely to respond to your misguided contrariness, does it? Besides, on what grounds do you say Peter is misrepresenting Orthodoxy? Why don't you produce evidence, instead of resorting to throwing unsubstantiated charges around. At any rate, this isn't about us proving our way is right, this is about you proving your way is right, as you stated in the beginning. So how about it? He's not misrepresenting this Orthodox Christian. Once again, Alfred, you fail to read the context. You have added "This epistle is..." to the beginning of the verse. 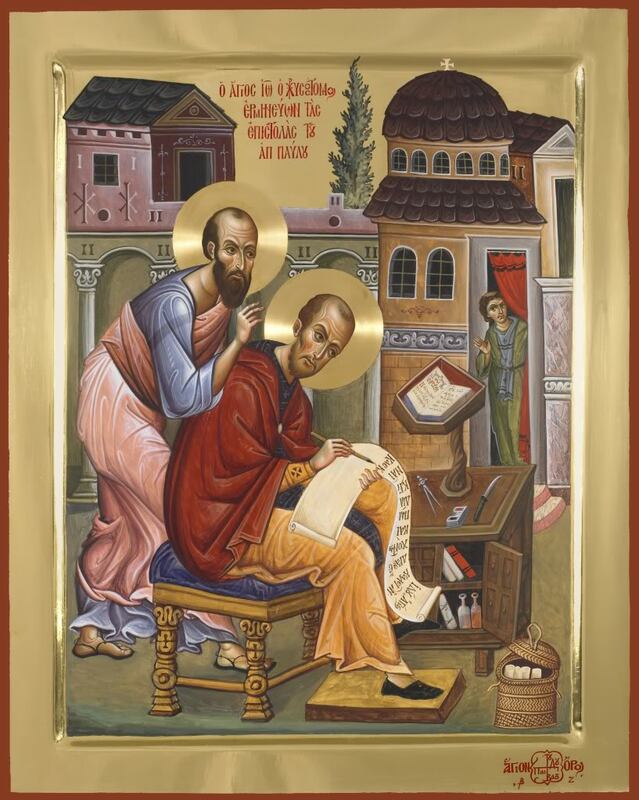 It doesn't seem to have occurred to you that verse two is attached to the first verse: "Paul, called to be an apostle of Jesus Christ ... to the church of God which is at Corinth...."
Or would it help if I were to write my response in pseudo-Latin? You have failed to show that "solum verbum dei" or however you choose to write it today, actually has a place in historic Christianity. Since you pointed out that your doctrine of Solā Scripturā derives directly from that phrase, you must be admitting that your doctrine itself does not have a place in historic Christianity. No I had to admit that Sola Scriptura does have a place in historic (albeit heretical) Christianity, but only after 1517. Of course I Corinthians is relevant to Orthodoxy: we are the ones who put it in the canon. We are also the ones who have kepy and keep the Traditions just as the Apostles delivered them to us, as St. Paul says (I Cor. 11:2). It is only because we have convinced yourself that revelation originated with you, and the Apostles reached over two millenium to hand it to you, that you don't know that. You reject our claims because you reject scripture. Oooh, getting kinda demanding, aren't we? The tactic of one who's used to getting his way but knows he's not going to get that here. You're the one with a case to prove, so prove it. Give us a good reason, one you haven't given us yet, why we should believe in sola scriptura. you must be admitting that your doctrine itself does not have a place in historic Christianity. Silly me for thinking that historic Christianity would begin with Christ and the Apostles . But I'm pretty sure Alfred doesn't think a whole lot of Martin Luther, either. I expected the Orthodox understanding of the text, not your own private opinion which I am certain would be condemned by the Orthodox. Alfred, from the tenor of your hundreds of posts, it's clear that you aren't the least bit interested in the Orthodox understanding of anything. And to hear you rail against "private opinion", well, that will be my laugh of the day! But back to business: when are you going to explain your pseudo-Latin incantations? How do you expect to be credible unless you can explain your own terminology? On what grounds do you say this is a private opinion? Or is this a baseless accusation? That statement proves you are doing this for the sake of argument and nothing more. You don't even want to get the Orthodox perspective for the sake of interest. It's intellectual masturbation. You're getting your jollies and feeling superior by stroking your knowledge of the Bible (even though it's completely erronous). That statement proves you are doing this for the sake of argument and nothing more. You don't even want to get the Orthodox perspective for the sake of interest. It's intellectual masturbation, as I said earlier. You're getting your jollies and feeling superior by stroking your spiritual knowledge (even though your knowledge is erronous). If an epistle is not "catholic" then its not canon, its sectarian. To say Paul's epistle to the Corinthians applies only to them is obviously wrong, hence not one of you can find one church father, or Orthodox scholar repeating the heresy you folks employ to avoid the obvious teaching of 14:36. The removal from text of a single verse of Scripture is certainly a historic fallacy (and heresy) of the Protestant "believers." The most obvious quality of 1 Cor. 14:36 is its' contextuality, not its' individuality: removal of a single object "from the Whole" and causing it to appear to "stand alone" seems to be (IMO) on the same level as a certain pers(s)on taking a lone stance against the whole of Orthodoxy. This procedure seems to be a hallmark of rebellion: didn't one of the post-Byzantine Church Fathers remark that the Protestant schism against the Roman church was caused by their ignorance of Orthodoxy, thus not having the option of returning to the True Church? Thus, rebellion begets rebellion: from Orthodoxy into Catholicism, from Catholicism into Protestantism, from Protestantism into Evangelical & Pentecostal "churches"... the progression of spawn from the original schismatic rebellion here seems to lead from bad enough to worse. And, the children of rebellion still insist upon their rightness, while remaining embroiled in their separatist behaviors... hence, removal of any "verse" of Scripture from its original & rightful context. Non-liturgical lyrics are wasted space between solos. Oh? By what authority do you say so? Did the word of God come originally from you? Or was it you only that it reached? Thus he brings in the other Churches also as holding this law, both abating the disturbance by consideration of the novelty of the thing, and by the general voice making his saying acceptable. Wherefore also elsewhere he said, “Who shall put you in remembrance of my ways which be in Christ, even as I teach everywhere in all the Churches.” (1 Cor. iv. 17.) And again, “God is not a God of confusion, but of peace, as in all the Churches of the saints.” (c. xiv. 33.) And here, “What? was it from you that the word of God went forth? or came it unto you alone?” i.e., “neither first, nor alone are ye believers, but the whole world." Which also writing to the Colossians he said, “even as it is bearing fruit and increasing in all the world,” (Col. i. 6.) speaking of the Gospel. But he turns it also at another time to the encouragement of his hearers; as when he saith that theirs were the first fruits, and were manifest unto all. Thus, writing to the Thessalonians he said, “For from you hath sounded forth the word of God,” and, “in every place your faith to God-ward is gone forth.” (1 Thess. i. 8.) And again to the Romans, “Your faith is proclaimed throughout the whole world.” For both are apt to shame and stir up, as well the being commended of others, as that they have others partakers in their judgment. Wherefore also here he saith; “What? was it from you that the word of God went forth? or came it unto you only?” “For neither can ye say this,” saith he; “we were made teachers to the rest, and it cannot be right for us to learn of others;” nor, “the faith remained in this place only, and no precedents from other quarters ought to be received.” Seest thou by how many arguments he put them to shame? He introduced the law, he signified the shamefulness of the thing, he brought forward the other Churches. But then since you reject Scripture, you will not hold fast the Traditions as the Apostles delievered them to us, thereby earning St. Paul's condemnation, not sharing in his praise of us. Are you serious? There are only seven catholic epistles: St James, two of St Peter, three of St John, and one of St Jude. All of St Paul's epistles are written to very specific churches. I never said 1 Corinthians only applies to the Corinthians. I said his commands are about a specific situation. You have yet to explain how St Paul's condemnation of specific errors in a specific church suddenly constitute a condemnation of Holy Tradition. Alfred, have you ever thought of running for Congress? You would be good at leading congressional hearings. Chapter and verse notations, I think, are the single worst innovation when it comes to Bibles. Without them, Alfred would not have nearly such an easy time with his "theology", since it would be obvious he is taking it all out of context and presuming that each and every verse stands on its own. What rubbish. LOL. Alfred could run circles around Colbert. LOL! How can I expect you to read the Bible correctly when you can't even read me correctly? I don't deny that St. Paul's Corinthian epistles certainly bear relevance to the whole Church and that we do well to read them, so before you assUme the ludicrous idea that I believe otherwise and totally disregard their presence in the canon of the New Testament, you would do well to grant that I'm representing my Orthodox faith truthfully and that you need to ask questions when something doesn't seem right to you. I just affirm also that St. Paul wrote his Corinthian epistles to address certain heresies and schisms that had arisen in the local Corinthian church, heresies and schisms peculiar to Corinth that may not be an issue for the Church today--a proper exegesis of the text must reflect this understanding of historical context. To see in St. Paul's rebuke of specific Corinthian practices a condemnation of Holy Tradition universally is therefore a ridiculous stretch of logic not supported by the text nor the context of the epistle. Your contradict yourself, either 1 Cor 14:23 "this passage shows St. Paul speaking merely to the church that meets in one place and not to the entire church as it is spread out throughout the world" OR "St. Paul's Corinthian epistles certainly bear relevance to the whole Church." You contradict yourself because you are aware how unhistorical your peculiar interpretation is, unique only to you, for the purpose of subverting Paul's meaning. 23 Therefore if the whole church comes together in one place, and all speak with tongues, and there come in those who are uninformed or unbelievers, will they not say that you are out of your mind? 24 But if all prophesy, and an unbeliever or an uninformed person comes in, he is convinced by all, he is convicted by all. You argue Paul's teaching about tongues applies only to Corinth, but that isn't what Paul said, he is illustrating a point, with an "IF" proposition. If all the church came together in one place therefore does not mean "what I am now saying applies only to you Corinthians. Your heretical interpretation is evil and wicked sophistry meant to avoid the quite clear demarcation Paul makes between the "Word of God" and "the word of men," which is what church traditions are. 36 Or did the word of God come originally from you? Or was it you only that it reached? 38 But if anyone is ignorant, let him be ignorant. 13 "making the word of God of no effect through your tradition which you have handed down. And many such things you do." 15 "There is nothing that enters a man from outside which can defile him; but the things which come out of him, those are the things that defile a man. 16 "If anyone has ears to hear, let him hear!" Our Lord was speaking to Jews about Jewish traditions, not to Christians about Christian traditions. The two are vastly different, yet so many Protestants use Christ's words against the Spirit-filled activities of His own Body. So that's how you diminish the Word of God, make it apply others, not yourselves. But that "hermeneutic" would render everything Christ said as "applicable only to the Jews of Jesus' generation," no one else. NKJ Mark 1:17 Then Jesus said to them, "Follow Me, and I will make you become fishers of men." That only applies to the disciple he was speaking to. NKJ Luke 13:3 "I tell you, no; but unless you repent you will all likewise perish. That too only applies to the Jews Christ was speaking to. 20 "teaching them to observe all things that I have commanded you; and lo, I am with you always, even to the end of the age." Amen. That also only applied to the Jews Christ was speaking to, and Jesus is NOT with you at all. I'm detecting a pattern, "whenever Scripture contradicts the Orthodox, then it applies to someone else." Where in the Orthodox church fathers is that principle stated...whither the consensus of the fathers? Where has even one of the fathers stated this ruling hermeneutic of "Orthodoxy"? If the Orthodox don't believe this principle, why are YOU teaching it? For what purpose? If not in service to Christ, then in service to whom? Wrong. I never said any such thing. You have a real problem with mixing up particulars and universals. No, the pattern you should detect is that Perssonism's [mis]interpretation of Scripture is different from the actual meaning, which is preserved in the teaching of the Orthodox Church. The very same could be said about you: "Whenever Scripture contradicts Alfred Persson, it means something different, and it took 1500 years for people to realize it." You see, both ways are interpretations (we covered this a long time ago). Our interpretation has been preserved and passed down from the Apostles, yours was made up by yourself after reading modern authors. I never stated any such principle. Stop putting words in people's mouths, it's getting old. And why would you care if the Fathers did have such a principle? You wouldn't, because you have no regard for their authority. So this is a pointless question. More intellectual masturbation and pointless arguing for the sake of arguing. How can someone like Alfred, who posits 'personal' salvation and interpretation of the Scriptures, find someone else heretical? If all interpretation is individual, where's the thing that he's defending in the first place? And if interpretation is not individual, who writes the recipe of his soup? I can hardly think that Jesus told the Apostles to go and teach all that He commanded, just so that someone could take that teaching and make of it what they willed. Here are some things that might help him. These are just some places to start. They are free to read. Our Lord was speaking to Jews about Jewish traditions, not to Christians about Christian traditions. If you don't mean this to be a principle of interpretation, then why cite it? And you have yet to quote the church father who proposed it first, or are you making this up? Why? Are you interested in joining the Orthodox Church too? You have yet to quote the church father who proposed "sola/solum verbum dei" first, or are you making this up? It's not a matter of interpretation for Orthodox Christians ... we believe that (and many, many more) as fact ... like the Sun rising in the East and setting in the West. Cut the BS about asking us to quote which Church Father said what, when and why. The only contradiction in my statement is the contradiction you want to see. Have you no concept of how St. Paul could have been speaking to certain problems unique to his specific audience, yet we deem his words as bearing relevance to the whole Church for the deeper truths they communicate? I think I'll let others address the hypocrisy of that accusation. Now I see that you've stepped up your attack on our beliefs. Could this be your effort to sidetrack us from pointing out how you have yet to prove the strength of your foundation for attacking us? If you can't prove that sola scriptura is the Christian way to go, then you have no basis for your claims that we're following after heresy. I post at Orthodox Christianity.net to debate and discuss Orthodox beliefs. If I wanted to discuss this with folks having different beliefs, I'd go there. 17 When He had entered a house away from the crowd, His disciples asked Him concerning the parable. Hey, Alfred, you see all those other trees around the one you're analyzing? They're called a forest. Alfred, which Church Fathers do you consider authoritative? Which ones have been most influential in guiding you into Apostolic Tradition? (BTW, I'm using Tradition to mean "that which is handed down" - check any worthwhile dictionary) You must certainly agree that if the Christian faith exists today as it did in the days of Christ and His Apostles that it must have been handed down some manner. When you give us your list of Church Fathers, please tell us which one introduced the phrase "solum (or is it sola?) verbum dei". I'm getting tired of asking you to do this. You claim you want to discuss, so please, explain your terminology. Protestant dispensationalists believe the Gospels belong to a period betwixt law and grace, and deny much of what Christ taught, as relevant to believers. I can testify how happy it made me, to learn they are wrong, that everything Christ taught is relevant to me. Even when debunking specific traditions about Law, the spirit of the teaching applies to me. 30 "who shall not receive a hundredfold now in this time-- houses and brothers and sisters and mothers and children and lands, with persecutions-- and in the age to come, eternal life. I wonder if it bothers Alfred that he is betting the ranch on his claims about the Scriptures, when he is very likely using a Protestant Bible which is minus several books deleted by the Reformers. Prior to the Reformation, they had been included in other Bibles. It is also worth noting that even some Protestant churches have since returned those books to the Bible. I wonder what Alfred's views on this matter would be like had he grown up in Addis Ababa? No, you are here to debate and discuss your personal belief system in attempting to convince us to apostatize and join you. 32 And when they heard of the resurrection of the dead, some mocked, while others said, “We will hear you again on this matter.” 33 So Paul departed from among them. 34 However, some men joined him and believed, among them Dionysius the Areopagite, a woman named Damaris, and others with them. But instead of telling you that "we will hear you again on this matter," we are trying to set you on the right path. However, if you ignore and disparage us like the men of Athens ignored and disparaged Paul, the status quo between you and us remains unchanged. But we don't know which Church Fathers you use to make your assertions. Nearly all of the men of Athens rejected Paul. You reject us. Fine with me. You don't read the fathers, and so how could you ever really know? You are only setting yourself up to be proven wrong again. I'm not gonna do your homework for you this time. No, you are gonna have to read them yourself. Well, Alfred, it should be clear that I'm not the only one waiting for your list of authoritative Church Fathers. Remember - you proclaimed yourself to be knowledgeable about them (according to you, none of them agree with the Orthodox). Please don't forget to indicate which one(s) wrote in pseudo-Latin. Continued evasion is an admission that you have been wrong all along.